Hard to find! 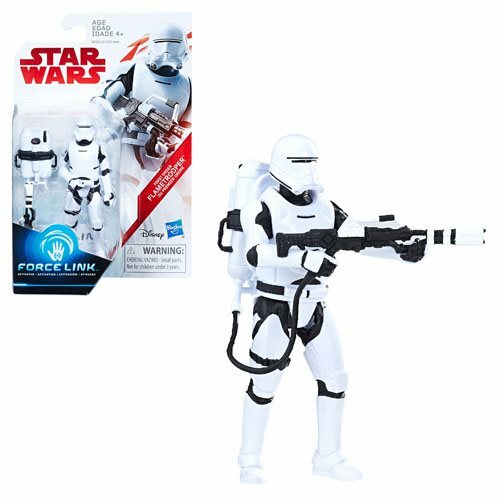 You won't find Star Wars: The Last Jedi Flame Trooper 3 3/4-Inch Action Figure at a store near you! The Supreme Leader of the First Order deploys these fiery forces to burn villages to the ground. The forces are back with a Force Link sound chip and newly posed limbs, plus some other minor changes. Collectors will love adding to their armies, but with a twist - the figure has been redesigned to hold his terrible torch with both hands now! Ages 4 and up. Made in China.